The Honorary Consul General Republic of Liberia Cynthia Blandford and Dr. 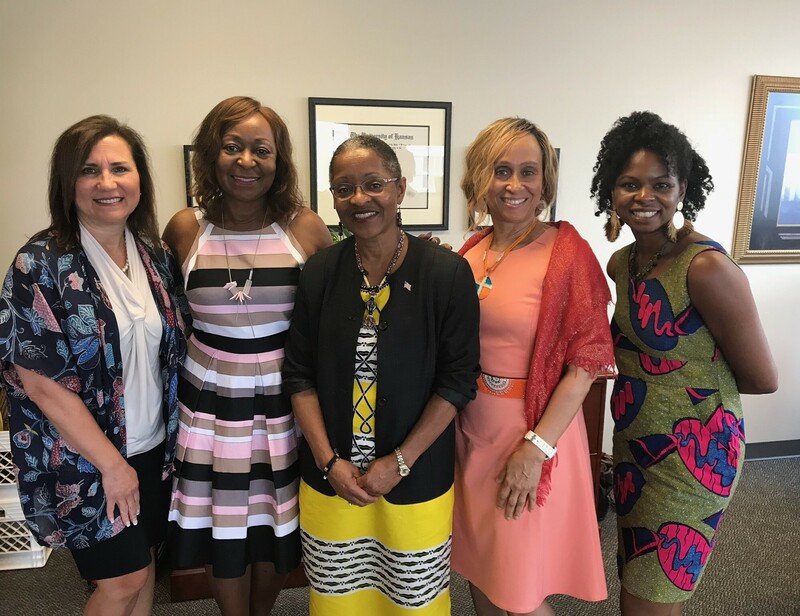 Weeks, President of the University of Liberia meet with Georgia State University leadership Dr. Gwen Benson, Associate Dean, Dr. Susan Ogletree and others to discuss a partnership around Early Childhood Education between GSU and UL. GSU will visit Liberia in December 2018 with the President of the UCL Cynthia Blandford to attend UL’s Convocation Ceremony and for faculty curriculum discussions. Clark Atlanta University is also expected to visit UL this December with a focus on Innovation and Entrepreneurship. 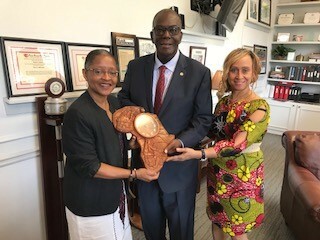 Dr. Ophelia Weeks, President of the University of Liberia, and Cynthia Blandford the Honorary Consul General Republic of Liberia, present handmade Liberian clock to the President of Clark Atlanta University Dr. Ronald Johnson for providing two full academic scholarships to Liberian students studying chemistry. 1. Why did you choose your major/concentration? I began to like chemistry from high school. My high school teacher was so experienced and included real-life illustrations in his teaching. He worked with Firestone Rubber Company as a chemist. So, he taught the subject with such great enthusiasm. I always liked his class and made good grades at the time. I remember him lecturing on the contribution of Marie Curie to science – radioactivity. He said this was a female with such high work. I got more interested because, I said to myself, I can do chemistry as well. I wanted to learn more and gain a better understanding of the various fields. 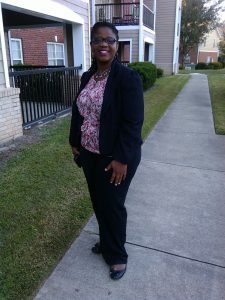 My emphasis in polymer chemistry deepened when I started graduate studies at CAU. My advisor, Dr. Mintz is such a knowledgeable person, with his mentorship I am excited for this field.